A split bill with San Francisco-based Hope Mohr Dance & LA-based choreographer Joan Padeo. Hope Mohr Dance’s presents “Leaving the Atocha Station,” a stage adaptation of Ben Lerner’s acclaimed postmodern novel of the same name. In Lerner’s postmodern novel about an artist’s search for authenticity, the protagonist poet, crippled by irony and doubt, longs to disappear into numbness. But he secretly believes in the power of art. Beyond merely staging the novel, Mohr’s adaptation takes the genre-breaking nature of Lerner’s auto-fiction as a jumping off point for hybrid theater: part dance improvisation, part monologue, part hallucinatory testimonial for the role of art in precarious times. 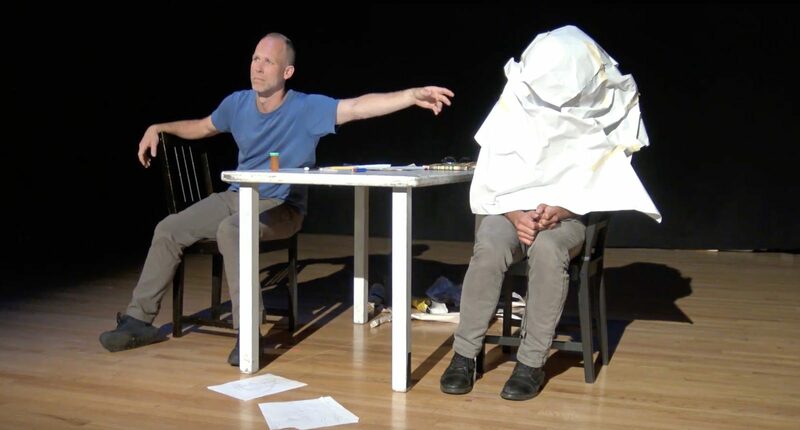 Featuring two veteran performers, Christian Burns and Wiley Naman Strasser, each of whom embodies a different aspect of the protagonist’s conflicted self. Joan H. Padeo’s “CREST” looks into the finite and fragile nature of life. Through the acceptance of the truth and the death of things– be it a loved one’s life, a friendship, a lovership, or the ending of a significant period in one’s own life– liberation is found. This work aims to reflect the resilience of life, how even though the ending of all things is inevitable, existing at all can become a rebellious and liberating act. A fellowship of six become ever-shifting embodiments of the earth and its natural forces, paying homage to the source from which everything comes from and returns. Together six distinct movers take part in each others’ journey to ascension, bracing one another for the truths that await them at the peak.